Situated between the Indian and Pacific Oceans, the extensive group of islands that make up Indonesia offer tropical holiday experiences which dreams are made of. With diverse landscapes, weird and wonderful wildlife and an array of cultures, flora and food, this stunning part of the world offers a feast for all the senses. 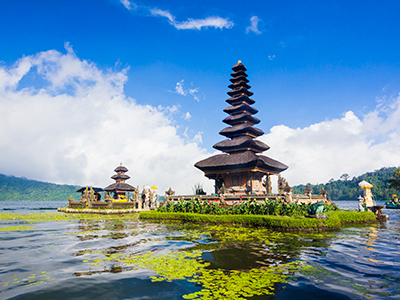 From enchanting palm-fringed beaches and breath-taking volcanoes, to lush rainforests and vibrant cities, Indonesia is a destination just waiting to be explored. Whether you’re looking for a luxury holiday in the heart of paradise, or want to get up close with komodo dragons, elephants, orangutans and tigers during the adventure of a lifetime, Indonesia ticks all the boxes.